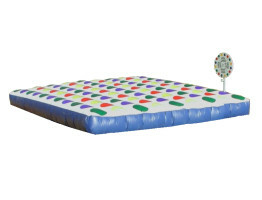 Experience Twister like you have never experienced it before with one of our most exhilarating sports interactive inflatables. Right hand red! Left foot blue! Can you hit all the spots without tumbling over? Or will your party guests sabotage you by bouncing you off balance? There's only one way to find out.